Our dedicated prototyping machinists and tool makers with combined experience of more than 100 years in product development, can turnaround high precision projects in two weeks or less. CIMtech Mfg. capabilities can fill your Prototyping needs, from concept to completion in virtually any material including fabrication & sub-assemblies. • We will provide complete start to finish turnaround on your parts, including secondary processes like Anodizing, Zinc Plating, Black oxide, Powder Coating, Painting & Penetrate Inspection. • Bring your concept to life. We can machine your Prototypes direct from solid models without need of detailed drawings. 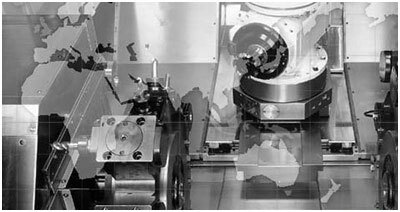 • Our experienced manufacturing engineers & machinists constantly evaluates your manufacturing designs & tolerances to provide feedback on lowering cost of manufacturing. We work as part of your team and provide feedback for dimensional errors or inconsistencies by reviewing tolerances to make your parts production ready. • Our experienced machinists’ attention to detail ensures that our customers get accurate parts every time. They have been diligent in pointing out machining issues on our parts designs. They have one of the best CNC machining facilities in BC. I am happy to recommend their manufacturing engineering services.